A Deva session is a channeled meeting with your Devas, in which you will have the opportunity to experience the Devic presence for yourself. These sessions are done via non-video Skype. The duration of a Deva session is about 45 minutes to 1 hour. Devas sessions are aimed at seeking guidance for personal and spiritual transformation. The Devas have showed us that when a client narrows the session to getting answers to life’s problems, s/he often misses out the treasure of wisdom and peace that the Devas are waiting to give them. The Devas are waiting to fill you with Divine love and beauty, but they cannot do so if your consciousness is limited to “asking the next question”. They say “do not focus on the question, focus on what we are saying. Don’t say anything, just listen”. Can anyone have a session? No. Sometimes people come to us who may not be ready for a Deva Session, usually due to lack of spiritual practice (sadhana), lack of personal clarity, or extreme stress due to personal issues, etc. In many cases, we recommend a spiritual detox and certain spiritual practices to better prepare them for their session with the Devas. A Deva session is not appropriate for desperate situations, or for questions related to purchase of property, financial matters, marriage of children, etc. Is this like astrology, palmistry, or Tarot card reading? Not at all. Connecting with the Devas is about bringing positive changes in our lives, furthering our own spiritual evolution, and understanding that we are Divine. A Deva session is about self-transformation – not about predictions or prophecies. How should I prepare for a Deva session? You must be a vegetarian, and teetotaler. Excess caffeinated beverages should be avoided. Take a salt water bath before the session. If you are taking a shower, place a handful of salt (preferably rock or sea salt) in a mug of water and pour over your body. Soak your feet in a warm salt water solution (1 handful of salt per liter of water) for 10-15 minutes. This will help to release any negativity you are holding. Once you are done, throw the water in the drain or toilet. Do not offer it to plants or dispose it anywhere else. Meditate by staring at the flame of a candle or jyoti for 10-15 minutes while your feet are soaked in the water. This practice helps to release any negativity you may be carrying. Please ensure that you are in a quiet place by yourself for the Deva session (sessions are very personal and one-on-one), preferably at home, and be ready to give your total attention to the session. How can I more easily connect with the God and His heavenly realms? No prophecies or predictive type questions please. The Devas do not give predictions or make prophecies as they tell us you are constantly creating your own future through your thoughts, words, and deeds. The past, they tell us, is the biggest illusion, and the only time that exists is now. If you don’t have anything to ask, don’t worry – the Devas will tell you what you exactly need to hear for this present moment. The more willing you are to transform your life, the more you will receive. You may not hear what you expect or want to hear, but the Devas will tell you exactly what you need to know. What should I do after the Deva Session? 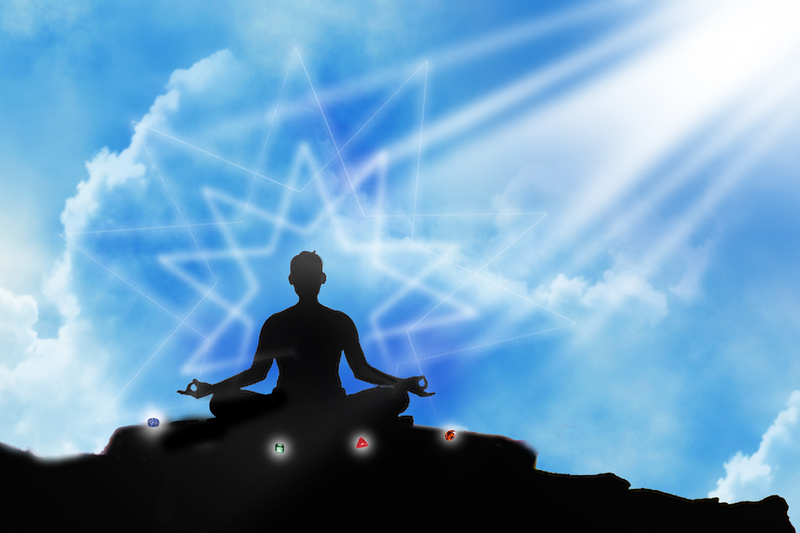 During the Deva session, you will receive an enormous amount of very sacred energy – although how you perceive it will depend on your level of awareness. After the session is over, you should spend the rest of the day in quiet contemplation on the guidance that you received. To retain the energy of the session, refrain from eating meat, drinking alcohol, or smoking for at least 1 week after the session. Also, avoid jarring or overstimulating activities, as well as crowded places during that week. Make effort to follow the guidance you receive, however simple or straightforward it may seem. Working with the Devas is like working with a fitness trainer. If you were to go to the gym with a fitness trainer, you would expect him/her to give you a series of exercises that you would then follow to help you strengthen your muscles and lose unwanted weight. You cannot expect the trainer to do the exercises for you. Nor would it be appropriate for you to do the exercises only once or twice, or not even at all, and then complain to the fitness trainer that his program does not work. It is up to you to follow the program that is given.